Most people think that sinker cypress is primarily used for building and construction and that is true but there are multitudes of applications. One that is gaining popularity is its use in the garden. Spring brings warm weather and with it, entices everyone out of the house to enjoy backyard entertaining and gardening. Cypress has quickly become a favorite for all things outdoors. Largely because of its sturdy, weather, disease and insect resistance and above all, its natural beauty. Its practical use goes without saying but it’s unique character makes it a great choice for creating style. 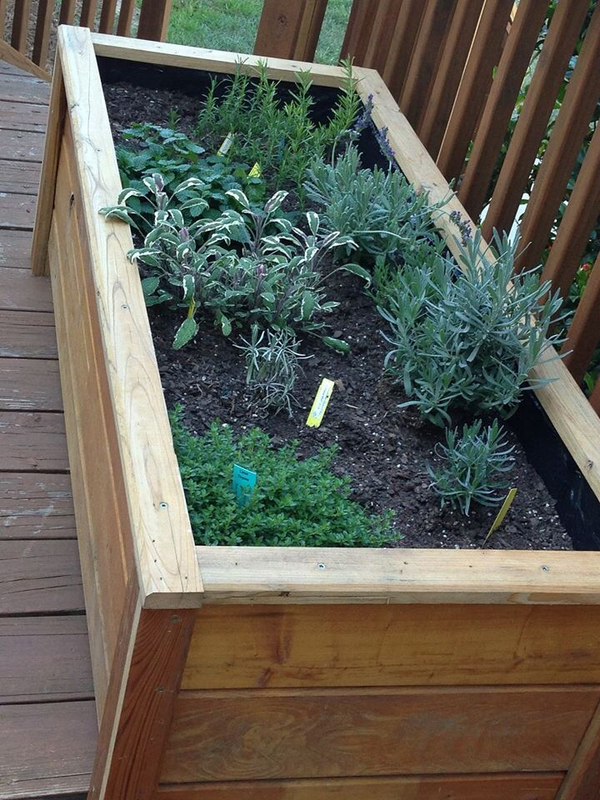 In the Garden - Container gardens are great if you have limited space or if you want your green thumb talent to be showcased on the patio or porch. Sinker cypress is a perfect material for outdoor growing of herbs, vegetables and flowers. If you want more of a decorative statement, opt for planters made from the actual trunks of sinker cypress like the two pictured above. 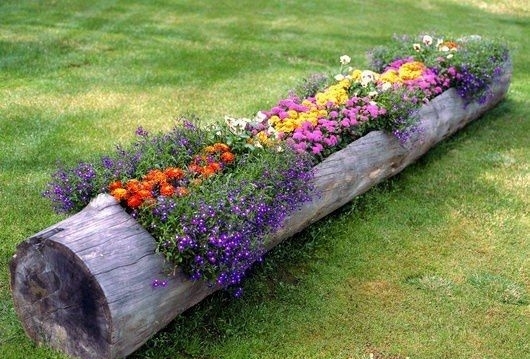 What a creative way to display your garden in its natural environment. Backyard Entertaining - Sharing the outdoors with friends and family always results in good times. Enjoying it under a beautiful cypress pergola or relaxing in a porch swing makes it even better. Outdoor BBQ - Grilling in a fantastic kitchen like this one makes cooking a joy. The hardiness of the sinker cypress will keep these cabinets and hood like new for years to come. Whether you are building a full kitchen like this one or need a table for your grill, you won’t go wrong sinker cypress. Outdoor Creations - There are literally thousands of ideas for using sinker cypress and new ones are being introduced every day. One of the newest designs is adding resin to the crevices and indentations that are indicative of pecky cypress. Choose your color for the resin to create a one-of-a-king look that fits your decor and style. 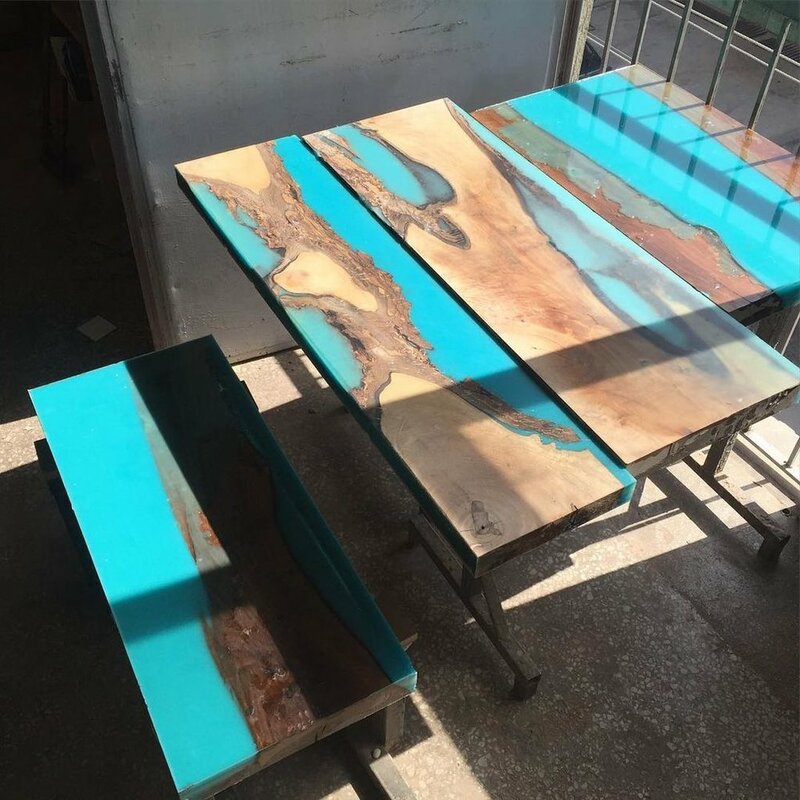 These outside dining tables from Instructables used a special resin that absorbs the light during the day and actually puts off a glow in the evening. Visit this DIY video for step by step instructions. Still need some inspiration to give your backyard oasis a special touch? Use sinker cypress horizontal cuts to make a gorgeous walkway in your garden. Outside tables complete your living area and make a great conversation piece. Quality sinker cypress can be purchased from some building supply houses and from local mills that specialize in river and swamp reclaimed cypress. Explore the uses of sinker cypress and consider it for your next outdoor project. Mossy Head Lumber Company is a family owned and operated mill located in Northwest Florida and proudly serves the area and delivers quality sinker cypress in any size and specification for your next project.